Before Clint Eastwood, Before John Wayne, before Gary Cooper, William S. Hart and Tom Mix, there was Gilbert M. “Broncho Billy” Anderson. His stories of the Old West were filmed amid the spectacular scenery of the real west, and set the pattern for western movies as we know them today. Anderson, looking for the ideal location for his movies found it in Niles, California. And, for a brief time, Niles became a major film production center. 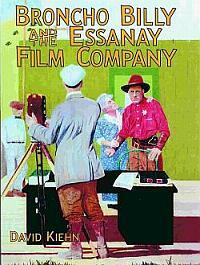 The book gives a rare inside look at a silent-era movie company in action, with the participants often speaking for themselves: cameramen describe a job unknown to the world only a few short years before; actors talk about their craft; cowboys tell of being cowboys. Along the way, Anderson provides insight into the life of a filmmaker. Illustrated with 270 photographs.